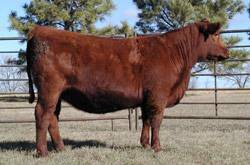 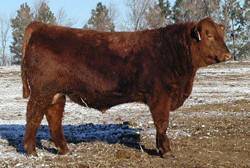 Red Dawg is the massive performance bull who scanned over a 20" RE when he was a yearling. 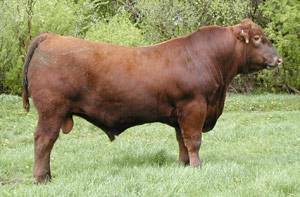 With over 200 progeny recorded, his calves ratio 101 and 103 for WW & YW respectively, while ratioing 104 for RE. 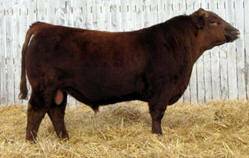 Talk about a breed changer, Red Dawg is it!